Project Management and the related research and education activities are living an exciting period of evolution. 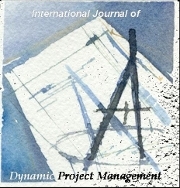 The objective of this journal is to offer a discussion forum for innovative ideas applicable to Project Management, with a special focus on Dynamic Management of projects and to System Dynamics approach. It includes a section for researchers beginning their publishing activity, and additional sections for papers written in non English languages. - Invited contributions. Contribution from reference researchers and practitioners. - Research results and innovative ideas. Space reserved for the contributions answering to the open call for papers. The received papers will undergo a double blind review and selection. - Newcomers. Papers delivered by researchers or practitioners who have never before presented a paper about Project Management. It is specially focused on doctorate candidates and students in Project Management Masters. - Non English papers. Specially oriented to papers written in minority languages, it covers the gap in non English research literature. Spanish, Deutsch, and Basque languages are already supported; others will also be included in the future.